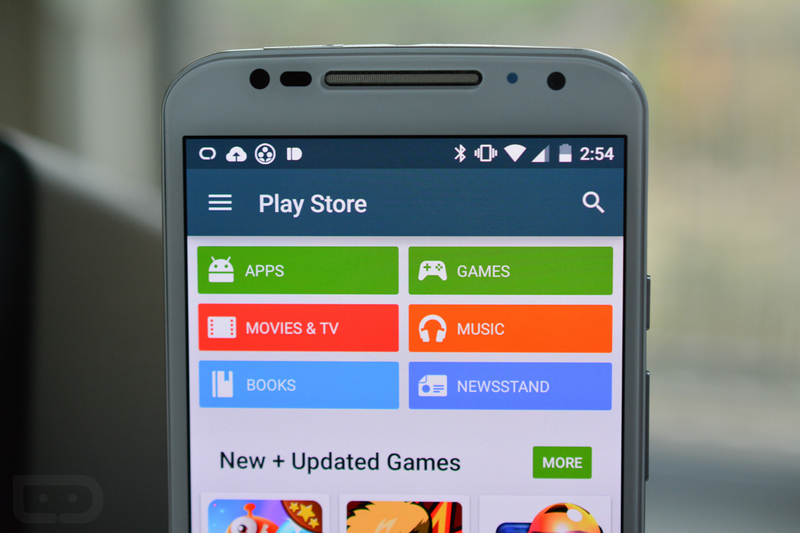 A Google Play update is either coming “soon” or “rolling out” at this moment, at least according to Google’s Kirill Grouchnikov. The user interface engineer from the Android team often teases new builds of the Play store just before they arrive and has done so again today. This afternoon, he posted up the GIF below, which shows a tweaked top portion of the Google Play store, with a missing action bar that has been replaced by a dedicated search box. In that search box, we also have the return of one of our favorite animations, the spinning hamburger-to-arrow rotation. The change is a bit confusing, though. For years, Google has pushed for apps to have action bars with defined colors that also house specific app features and functions. There are at least a handful of documents on the Android site that discuss the action bar and how important it is in terms of establishing consistency and familiarity among users. However, this change seems to completely move away from that idea. Or am I overanalyzing it? We haven’t received the update on our end, but feel free to check and let us know. You can see if you have a Google Play updated by opening Google Play, heading into Settings and then tapping on the Build version. Update: Apparently, the search box is now the toolbar, but then changes to a traditional toolbar on other category pages. See it here.